See official contest terms and conditions. Curious about your home exterior’s potential? Start with beautiful Owens Corning® roofing shingles, combined with other exterior accents, to see how you can boost your curb appeal. Here’s your chance to imagine the possibilities and show off your style. Be fun and funky or calm and serene–just be you! Create your own unique style board with our interactive style board tool. You could even win an exterior color consultation with Two Chicks and a Hammer. Submit a style board by August 15, 2019 for your chance to win! 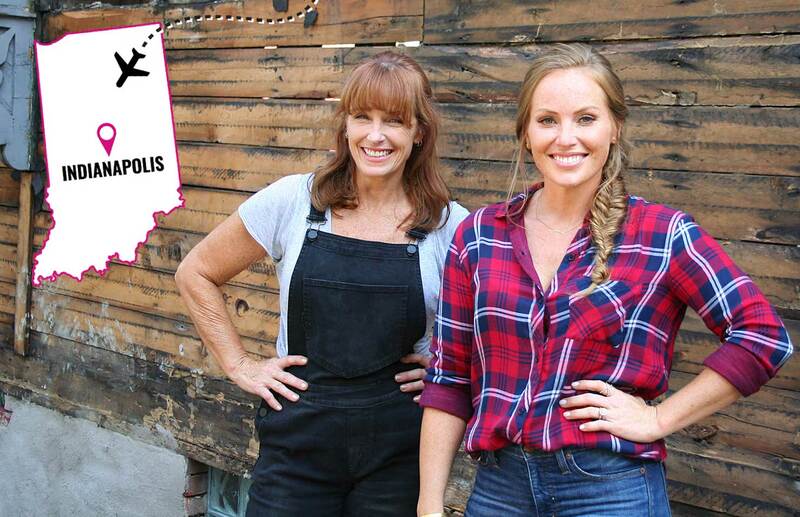 One talented style board designer will receive the Grand Prize, an all-expenses paid trip for two to Indianapolis to meet contractors and designers, Karen E Laine and Mina Starsiak - the home renovation experts on HGTV's popular show Good Bones and owners of Two Chicks and a Hammer. Prize package includes an exterior color consultation and a behind-the-scenes tour of Indianapolis' Bates-Hendricks neighborhood where many of the shows' featured homes are located. 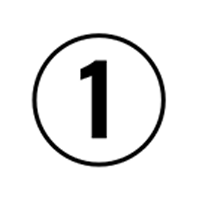 Contest ends on August 15, 2019. 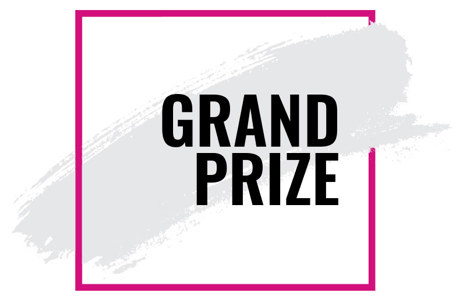 Grand Prize winner will be announced on or about September 15, 2019. 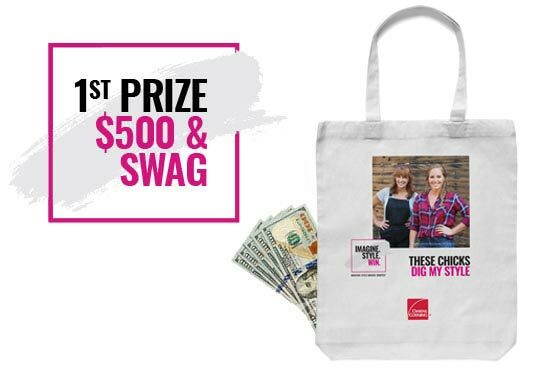 First Prize winner will receive $500 plus an exclusive Owens Corning tote bag with swag featuring Two Chicks and a Hammer. 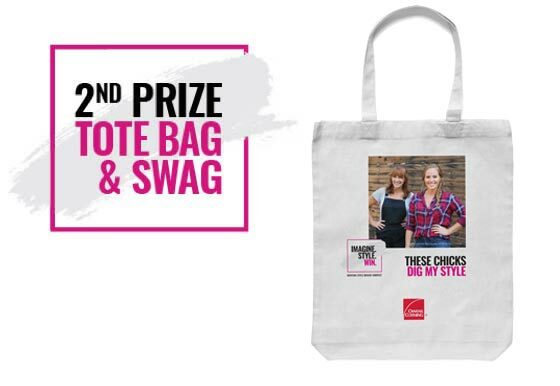 Second Prize winners will receive an exclusive Owens Corning tote bag with swag featuring Two Chicks and a Hammer. Discover your exterior style. 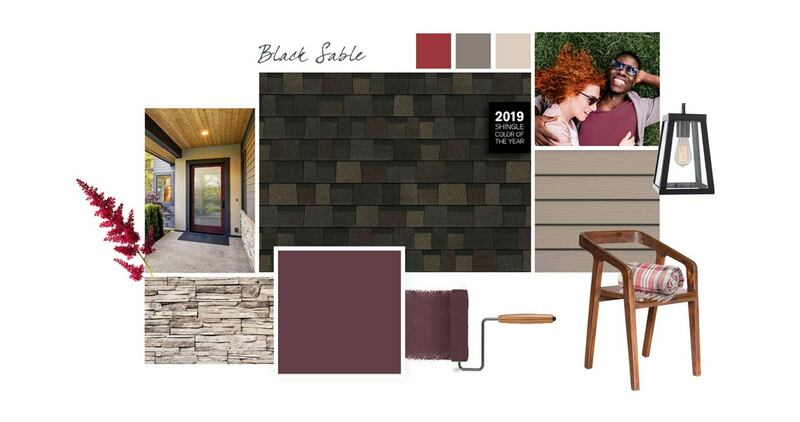 The unique color blends in Owens Corning shingles are a great starting point. Use that foundation to see how your choice of accent colors can transform your exterior design. Create your own original style board. 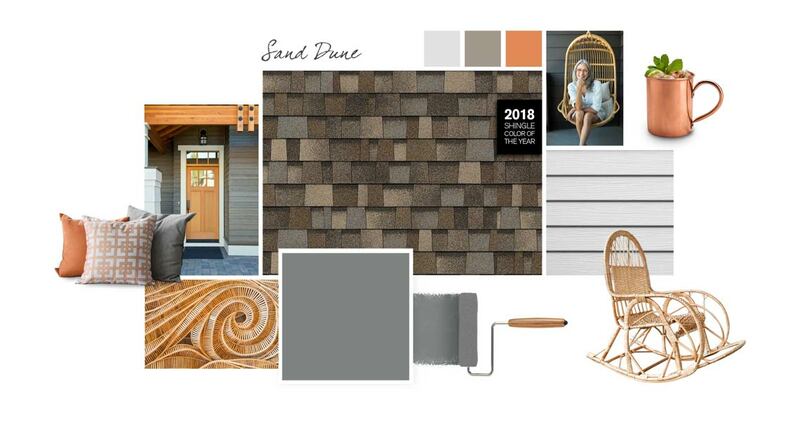 Using our interactive tool, mix and match a shingle swatch, cladding, accent color, door, and some personal touches until you build your perfect exterior look. 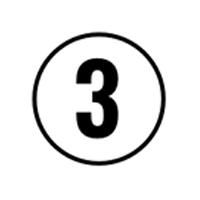 Submit together with your completed entry form for a chance to win. 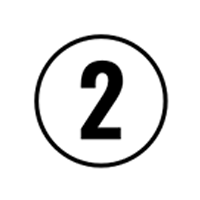 Once your entry is approved, you can share your style board with friends and view it in our Pinterest gallery. Not sure how to create a style board? Karen E Laine and Mina Starsiak of Two Chicks and Hammer and HGTV’s Good Bones inspire your exterior design and teach you how to create a style board. Need a little encouragement? 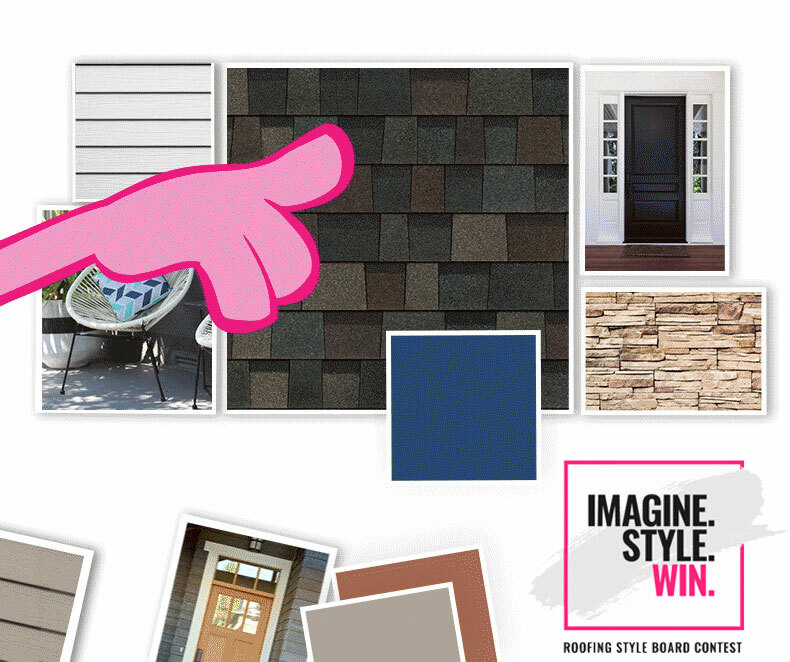 Check out some professionally designed style boards from Owens Corning to help you get started. See the style boards other homeowners have created for the contest for more ideas and inspiration. Remember be original-be YOU! Whether you’re just starting to think about a new roof or ready to make it happen, Owens Corning can help you create a home that looks perfectly put together and while delivering enduring protection and peace of mind. Browse styles and colors to find a shingle that helps take the look of your home to the next level. Ready to take the next step? Find an Owens Corning Roofing Preferred Contractor near you.